For the most part, surgeons and surgical facilities perform admirably, saving lives and solving serious medical problems. Physicians, nurses and support staff are dedicated, hardworking, intelligent professionals who do not set out to harm people through negligence. The consequences for patients victimized by these errors are grave, and include permanent disability, coma and death. Catastrophic brain, spinal and neurological injuries are all too common. 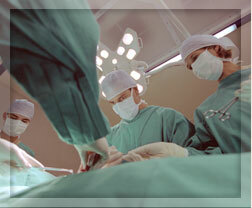 Second surgeries are often called for, to undo the damage caused by the first. To learn more about your rights and options, contact the Watts Law Firm lawyers at your earliest convenience. Our goal is to obtain maximum compensation for your injuries, or for the injuries or wrongful death of a loved one. Have you lost a loved one on the operating table? Call the Vermont surgical negligence attorney Norman Watts at (802) 457-1020.